Can You Recommend Crystals for a Protection Grid? Question: Hey, I have a question about how to make a crystal grid. I want to make one that can infuse protective energy into an object. Do you have any ideas about how to create something like that? I would like to infuse an object with protective energy to give to a friend who is a soldier. I want to make sure that they come home safely and your help would be greatly appreciated. Thank you for contacting us for this wonderful question. This a loving request for your friend. I have a few recommendations for you. In crystal grids, there is often a main stone placed in the center of the grid. This stone is significant in activating and sustaining the grid's energy. Usually the stone is placed in the center, and the other supporting stones are placed around it, often with the points facing inward (towards the main stone). What I'd like to recommend is that you place the object you have in the center of the grid. This way, the object can be infused with the healing and protective energy of the grid and surrounding stones. When objects are infused with specific energy, I call this a power object. Holding a strong and clear intention will be key here. Just like with any healing, we want to direct the energy so that the healing or request can be received. I recommend this for your power object. For example, when holding the object and/or making the grid, state your intention out loud or in your mind's eye. For example, "May this object hold protective and loving energies to comfort and protect [ friend’s name here ] ." 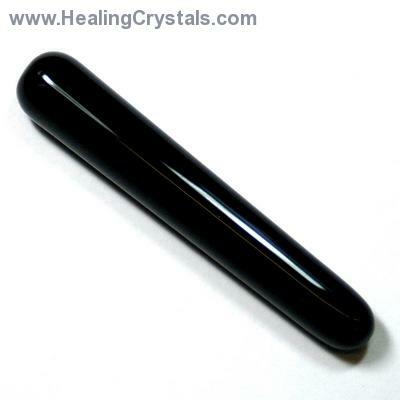 A few amazing crystals used for protection are: Black Tourmaline and Smokey Quartz. As well Amethyst and Malachite are great travel aids. Amethyst is also good for protection. As well, here is an awesome article on how to construct crystal grids for protection.